As one reviewer noted: The ideas posited by A Modern Panarion, then, are not so much that a Theosophical Society is alive and kicking in Irish contemporary art, but that the traces of ideas raised by the Theosophists have perhaps been assimilated or passed down via pop culture. A lot of the Society’s thoughts on religion and philosophy would eventually resurface in new guises over the course of the 20th century – perhaps most notably during the counter-cultural movements of the 1960s, and the science fiction of the 1970s. Through these third parties, connections can be drawn to the artists participating in the show. 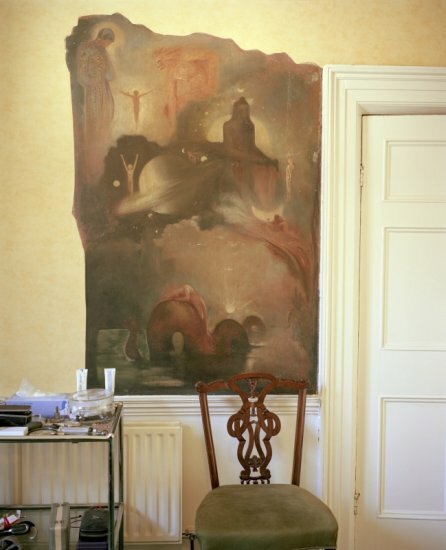 The exhibition is curated by Padraic E. Moore, who has issued an accompanying publication To Seek Where Shadows Are that chronicles of the emergence of the Theosophical Society’s Dublin Lodge. A Modern Panarion: Glimpses of Occultism in Dublin will run from June 19 to September 7, 2014.